By controlling insect vectors of diseases, it prevents the spread of diseases, it prevents the spread of diseases like leaf curl in Cotton. 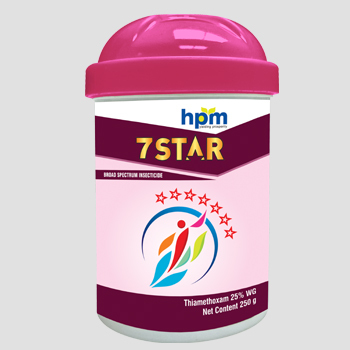 HPM India is one of the best thiamethoxam 25 wg manufacturers in India, Contact us now. 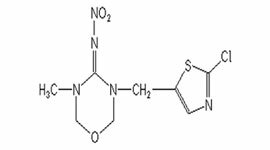 Thiamethoxam is agonist of the nicotinic acetylcholine receptor, affecting the synapses in the insect central nervous system. Insecticide with contact, stomach and systemic activity. It has unique chemical properties, which result in excellent control of many sucking and chewing pests. provides excellent control against insects such as Aphids, Jassids, and hoppers etc. It also effectively controls Thrips and Whiteflies in wide range of crops like Cotton, Paddy,Fruits and Vegetables. It has unique translaminar action i.e. after spray it spreads sideways in the plant and thus controls even those insects, which are hidden.Results of this product are visible within few hours after spray.by controlling insect vectors of diseases, it prevents the spread of diseases; it prevents the spread of diseases like leaf curl in Cotton. 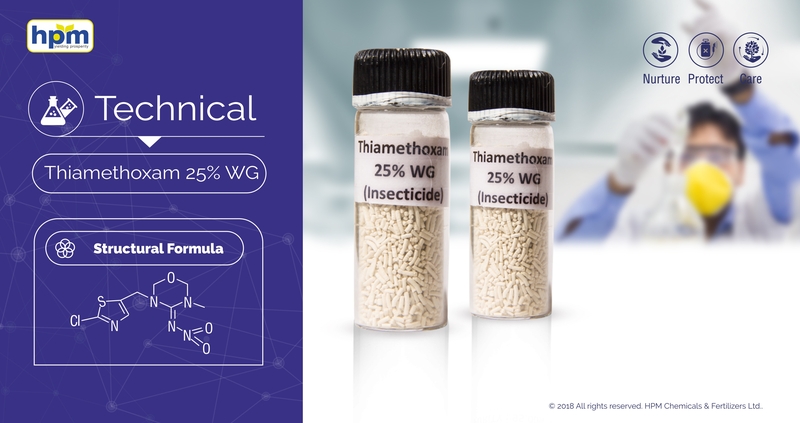 Thiamethoxam is quickly and completely absorbed,rapidly distributed in the body and rapidly eliminated. Degradation/metabolism has been studies in 6 different crops with soil, foliar and seed treatment application. It is slightly toxic for bobwhite quail and mallard ducks.it is highly toxic for honeybees. It is slightly toxic for bluegill sunfish,ship fish, warms. Very toxic to aquatic life with long lasting effects.